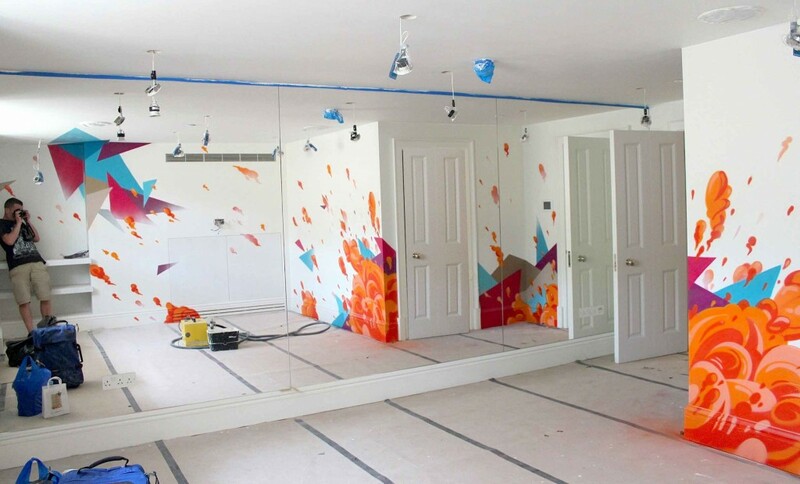 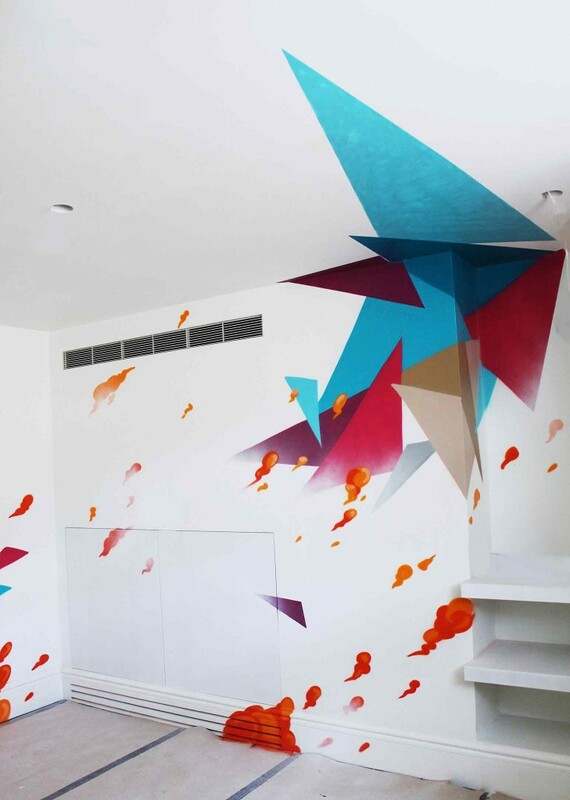 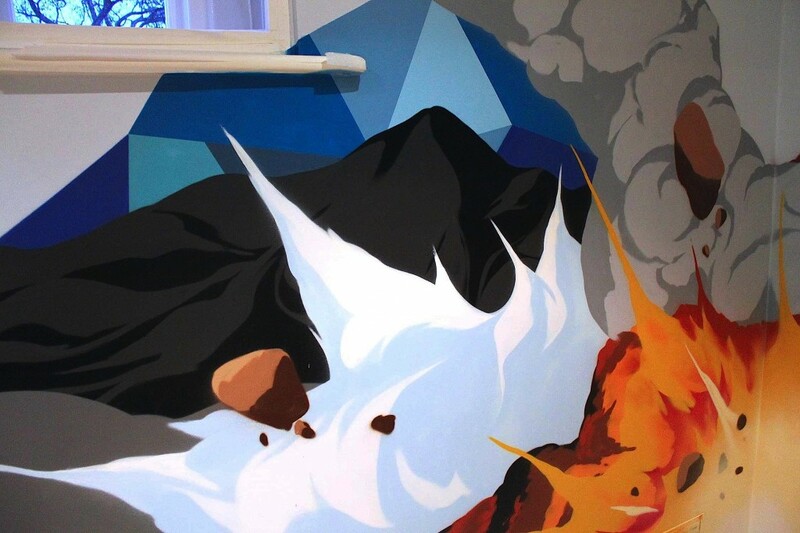 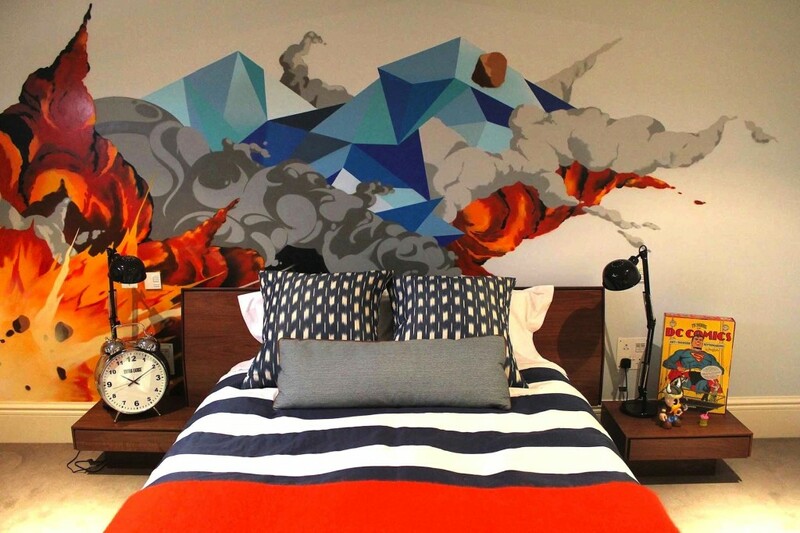 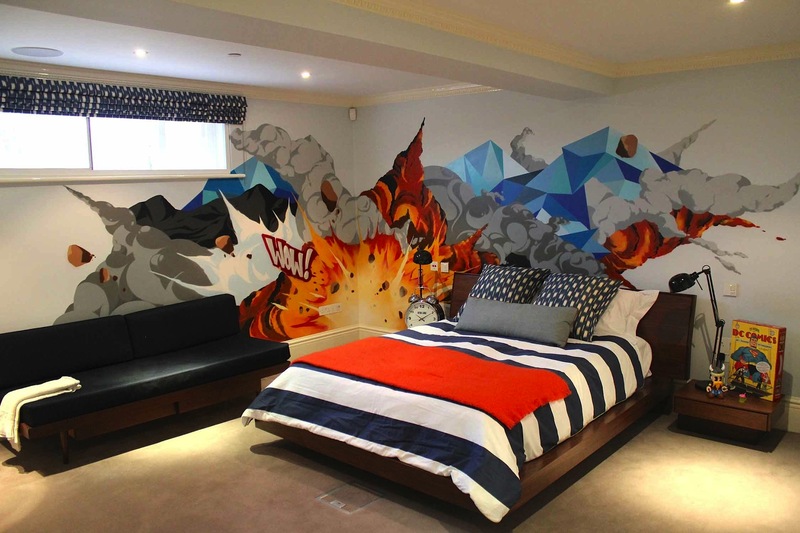 Our first project working alongside SCM Management involved painting a mural to bring to life a boys bedroom. 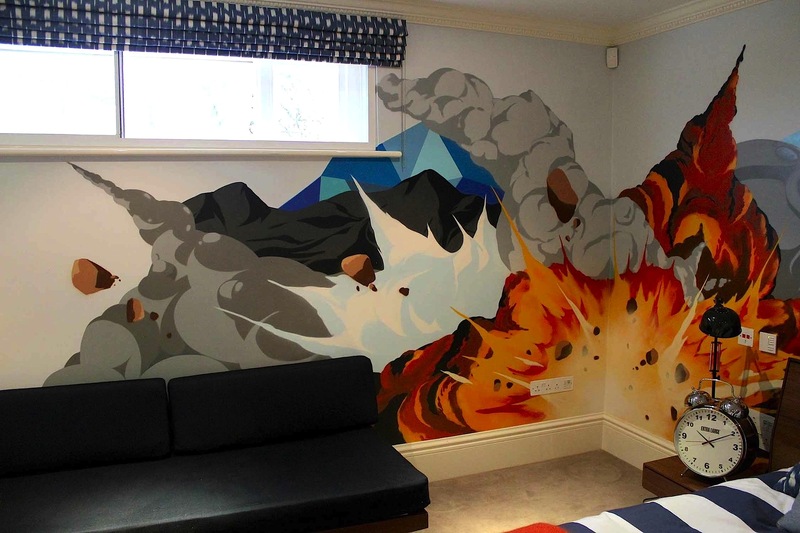 The interior was already themed to in a retro american style so in keeping with the existing colour scheme we created an exciting mural based on classic american comic illustrations. 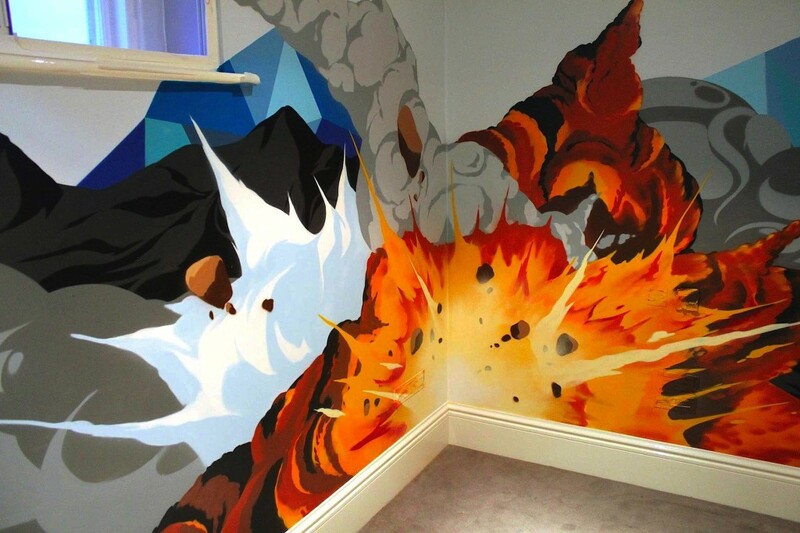 The painting was created using spray paint taking 3 days to complete.